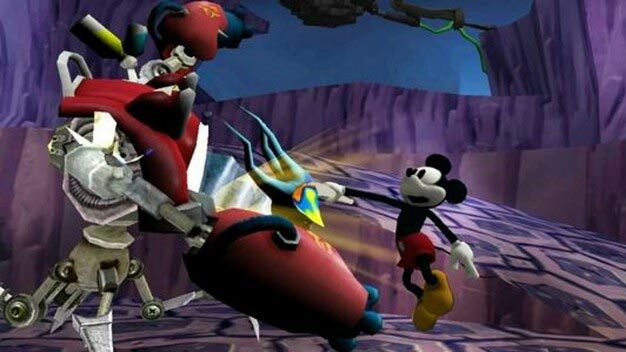 Renowned role-playing game designer Warren Spector’s first foray into the darker side of Disney, Epic Mickey, is still more than a month from release and already there’s talk of a sequel. Of course, so far Spector is the only one doing the talking. Disney hasn’t made any announcements concerning Epic Mikey 2, but the enthusiasm of Junction Point’s founder for making more games in the dark vein of Epic Mickey pretty much guarantees a sequel as long as the first game doesn’t bomb. Far be it from Disney not to carefully cultivate an exciting new franchise only to drive into the ground. Cough*Pirates of the Caribbean*Cough.